We offering a wide range of Blender for Chemical Industry. 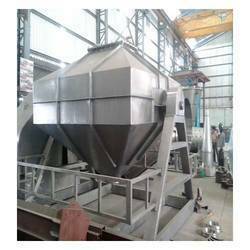 The Octagonal Blender gives best result for granules due to very slow speed and octagon shape of container. PMI 03-0.1 300 3 2000 1100 2000 6"
PMI OB-0.3 400 5 2100 1200 2100 6"
PMI 03-0.6 600 7.5 2300 1400 2300 6"
PMI OB-1 800 7.5 2350 1800 2350 6"
PMI OB-1.8 1000 10 2400 1900 2400 6"
PMI 03-2.4 1500 10 2500 2000 2500 6"
PMI 03-3 2000 18.5 2550 2000 2550 6"
PMI OB-3.6 4000 18.5 2650 2100 2650 8"
PMI 03-5 5000 79 2800 9900 2800 8"
PMI 03-6 8000 30 3000 2400 3000 8"
Looking for Blender for Chemical Industry ?